Wilfred Owen‘s poem remains one of the defining testimonies of the First World World, not least because the poet was killed in action on November 4 1918, just one week, almost to the hour, before the signing of the Armistice which would end the war. His mother would receive the telegram informing her of his death on Armistice Day as the church bells rang out in celebration. It’s thought that Owen widened this address to include all supporters of the war, in particular those who handed white feathers to men at home in a public accusation of cowardice. “It is impressive because it is there at all, because the way to record dismay and bewilderment was not the essay or prose narrative but poems. In dictation, form and metre they usually obey tradition but their subjects are unprecedented, revolutionary. The tension between expression and subject indicates an unknown future to be worked out. While On Active Service seeks to include the best of First World War poetry, the range in style and subject attempts to capture the breadth of experience which in turn feeds into the overarching sentiment of sorrow, futility and bitterness, which Nellist touches upon above. Wilfred Owen‘s Dulce et Decorum Est is one of the most overtly bitter accounts from any of the war poets included in the anthology, but as a representation of “writing from the moment of experience itself by people actually in it”, there is no greater poem. 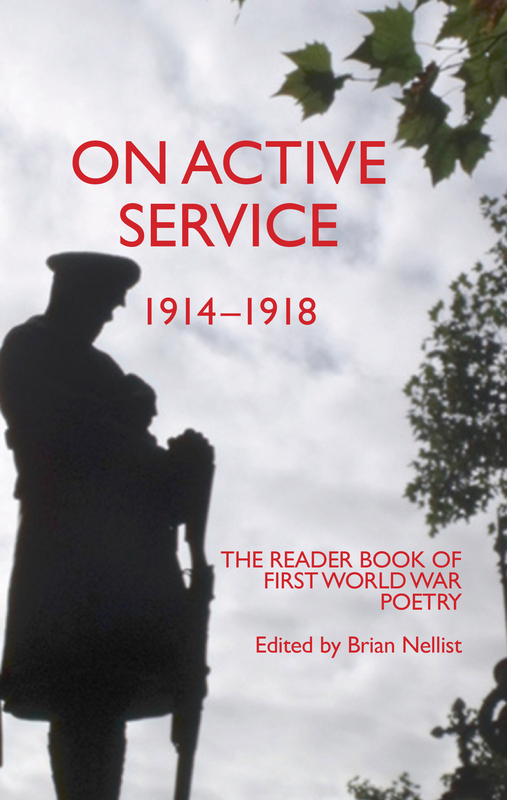 If you would like to purchase a copy of On Active Service or find out more about our anthologies, visit our website. Previous Previous post: In which classic children’s book do you really belong?